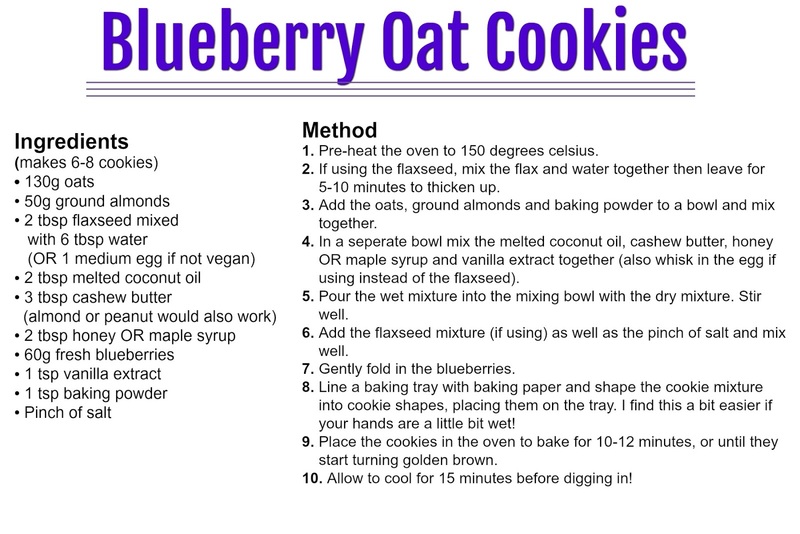 These sweet but healthy Blueberry Oat Cookies are my new favourite treat with a cup of tea in the afternoon. 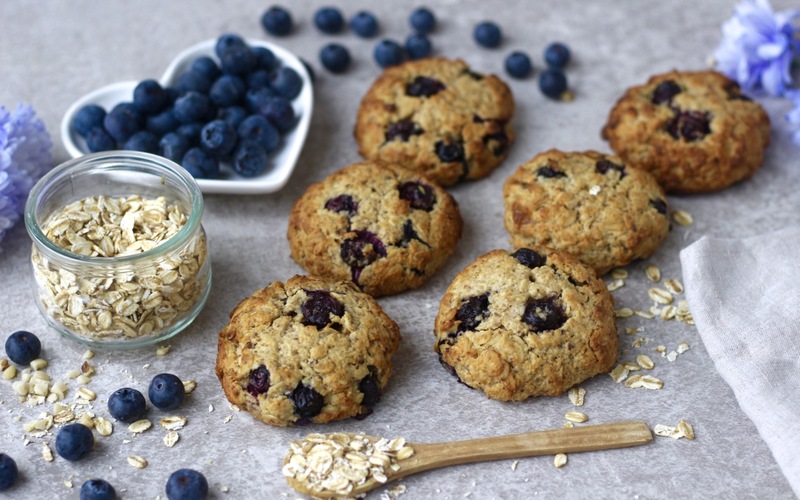 They're that gorgeous soft, chewy texture we all love in a cookie with juicy blueberries embedded inside. They're sweetened naturally with banana and honey (or maple syrup if you're vegan) and are flour-less too! These are probably one of the best cookie recipes I've made so far and I can already tell I'm going to be baking them regularly for years. These cookies are so loaded with goodness they could even be made as a breakfast cookie, which is great if you're someone who's always on the go or doesn't always have time to make something to eat in the morning. 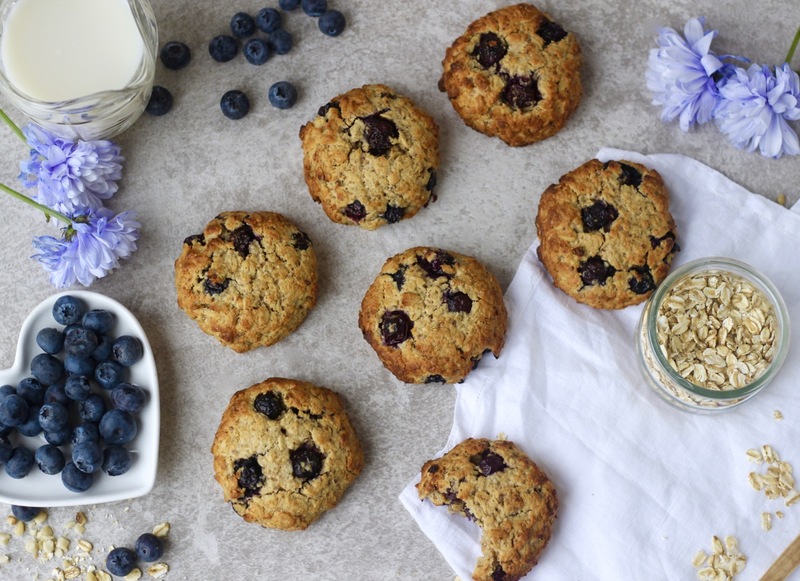 The cookies contain oats which are a slow-releasing carbohydrate, meaning energy will be released gradually to stop that slump and keep you feeling fuller for longer. 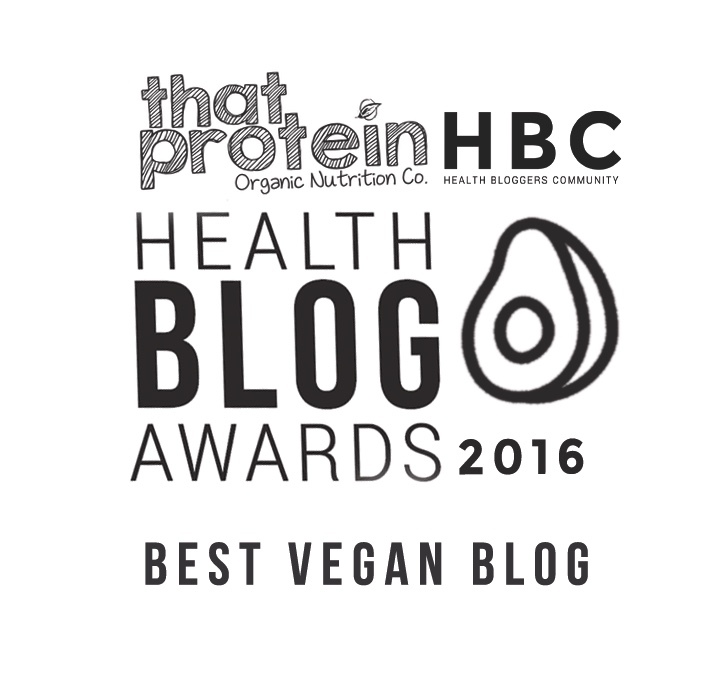 There's also coconut oil, cashew butter and flaxseed in the cookies which are all forms of healthy fates - a total essential to keep you feeling your happiest and healthiest, did you know vitamins such as vitamin D and A (both vital for our mental and physical health) are fat soluble? 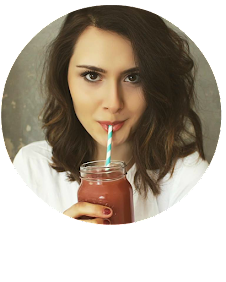 This means your body can't absorb these vitamins without healthy fats! As well as this the cookies contain juicy blueberries for anti-oxident goodness and a sweet, juicy taste without refined sugars.